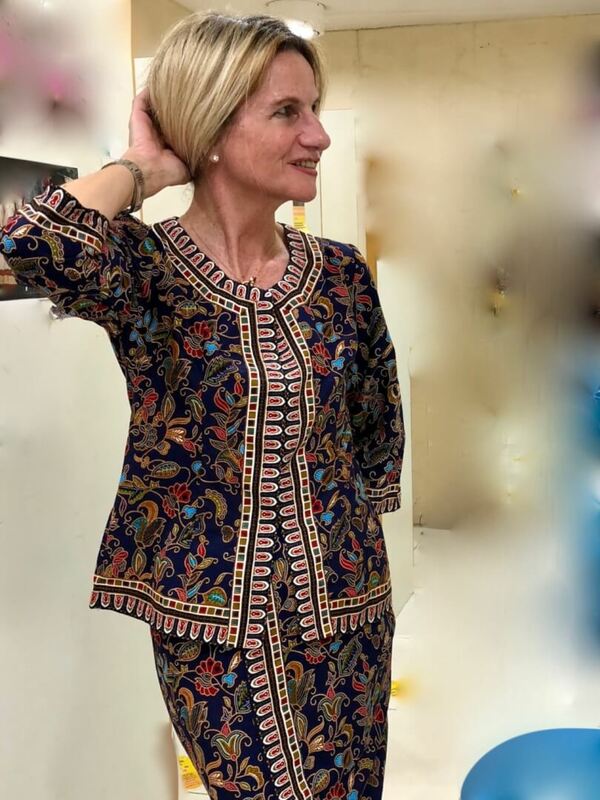 You may already know I’m currently enjoying a fabulous time in Singapore – a place that has always had a special place in my heart. 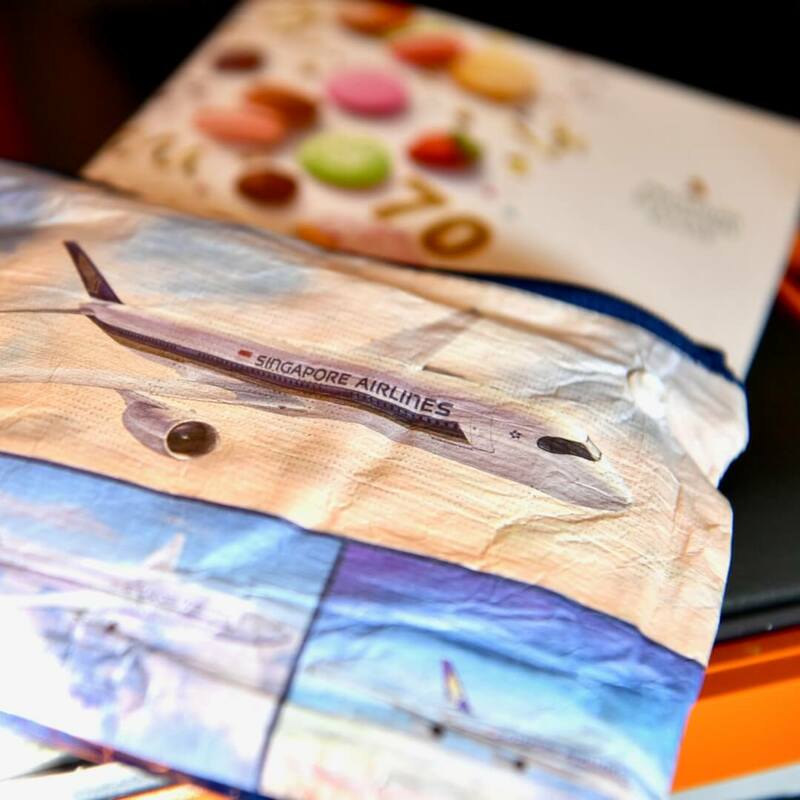 So lets talk Singapore Airlines… it simply is and has been since I was 13 (OMG), my favourite airline, and I have flown over 20 different airlines that I can remember off-hand! Why? The answer is simple, the Staff are always so warm and welcoming giving you the feeling of meeting old friends with each flight taken! 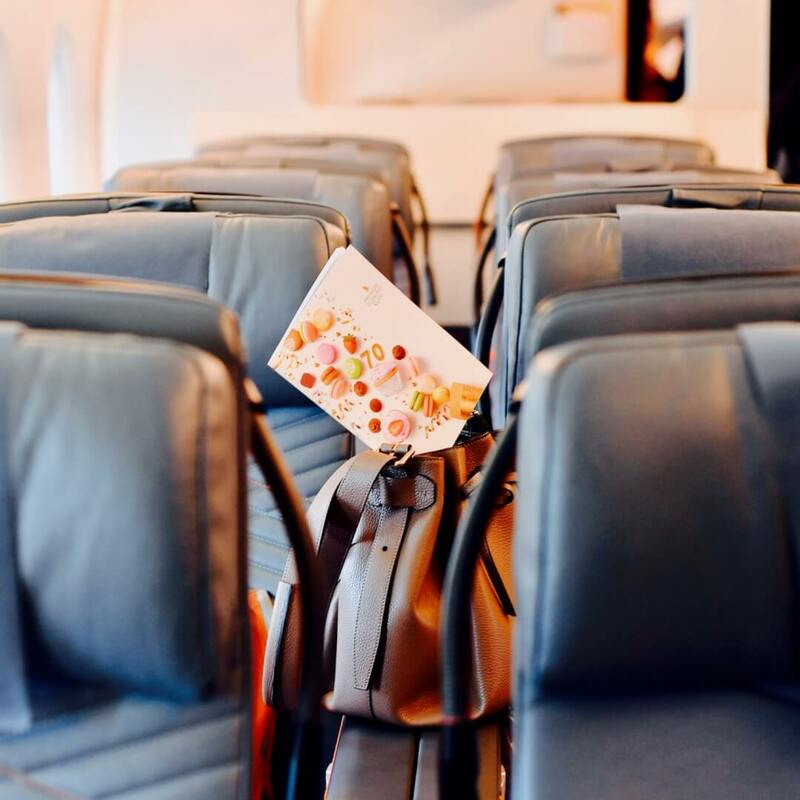 Still lets talk Premium Economy – is it worth the price difference? Should one simply grit teeth and fly Economy? 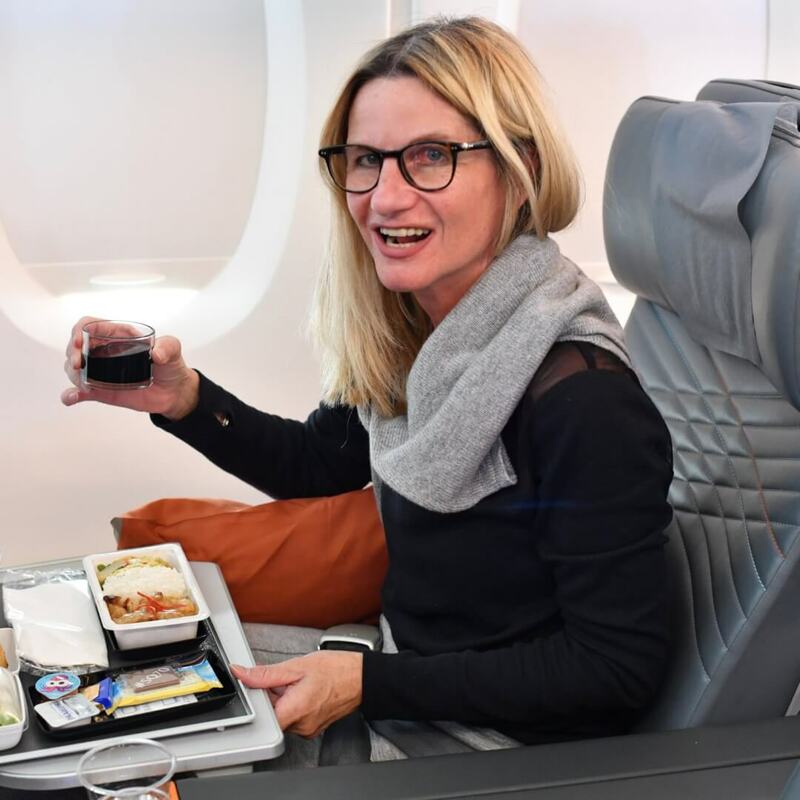 Do we forget Premium Economy and splash out for Business? 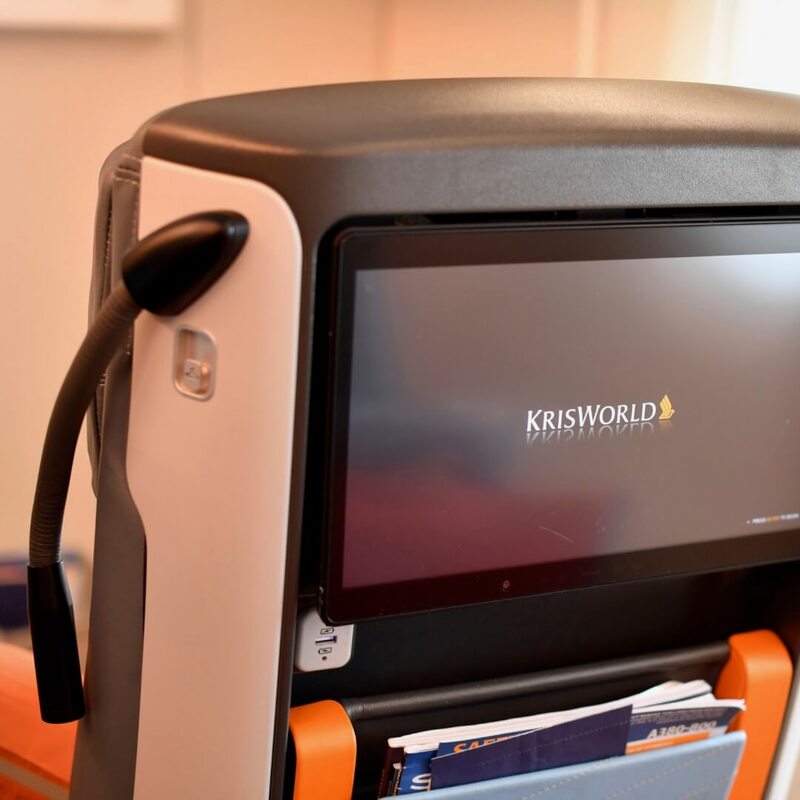 Keep reading for a pictorial view and honest account of how I found flying Premium Economy Zurich – Singapore. Ooh – almost forgot to mention, of course I have a few fun facts at the end of this post! 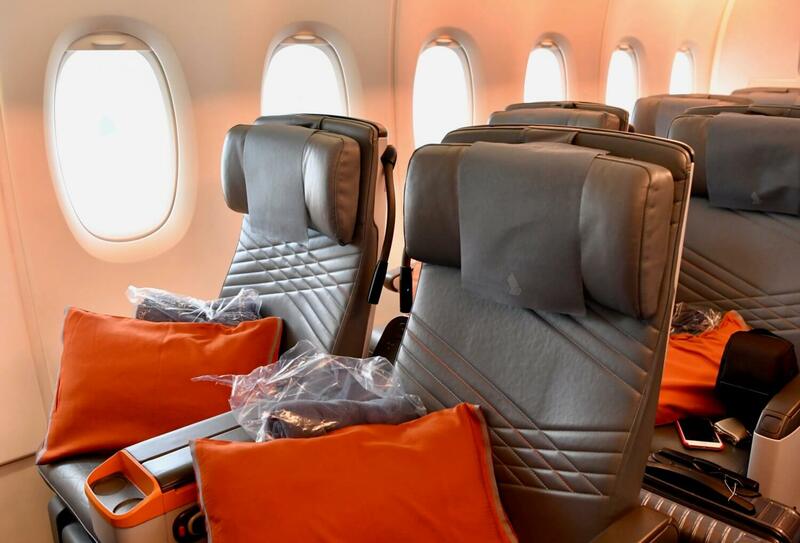 Certainly wider than Economy, there is something about these seats and the way they recline that reminds me of the Business Class of the 1980’s. Super comfy and loads of room for a small person like me to curl up in. I do recommend choosing a seat along the sides if possible as the middle row is still 4 seats wide – same as with Economy Class. Reclining – definitely more comfy than Economy. The cushion was a great size, and blankets were really lovely. Whenever I fly Economy I take along a pillow from home but didn’t feel the need now. 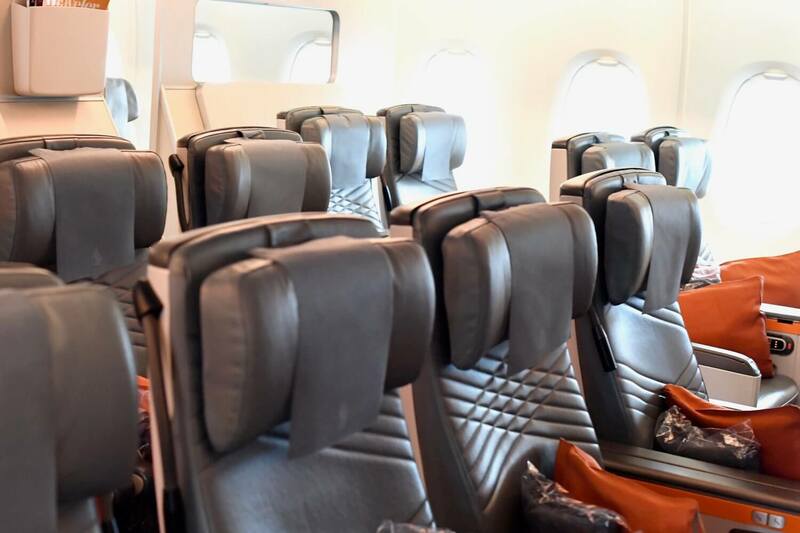 I love the fact the seats are leather instead of cloth – so much more comfy! Also super easy to control for reclining etc. Premium Economy is such a small section that you get treated like royalty. 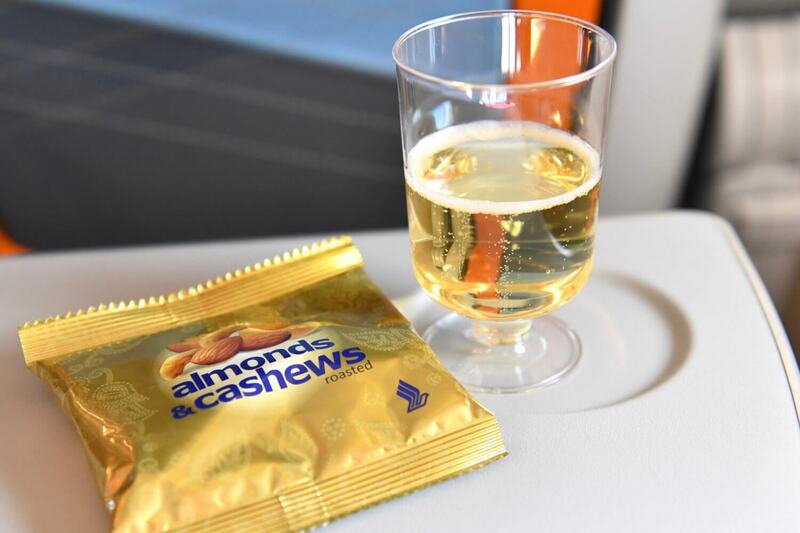 You may not get your champagne before take-off as you do with Business but it literally arrives within seconds of being airborne – what more could one ask for! 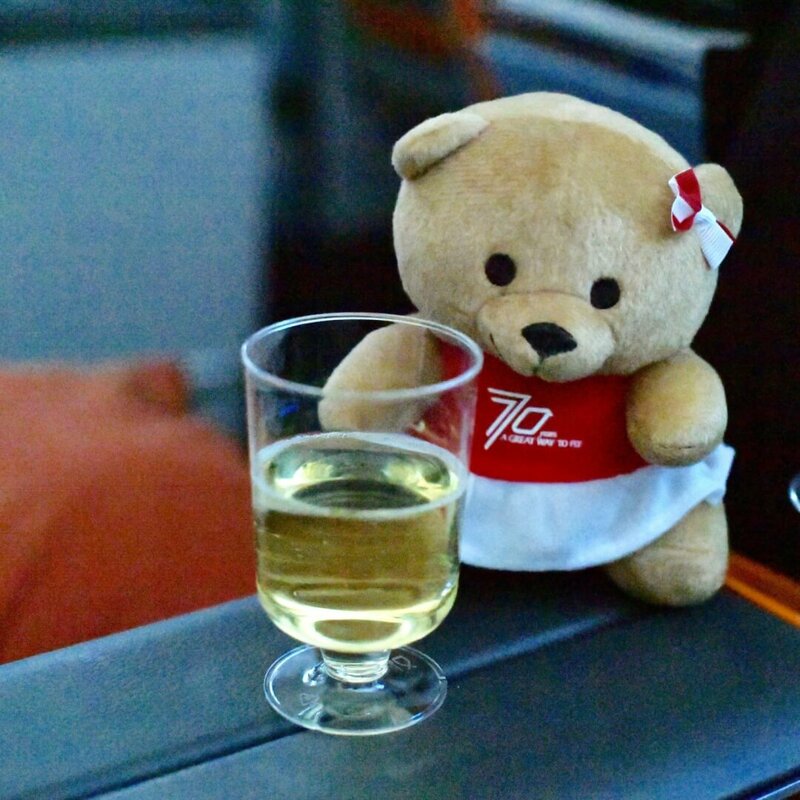 …OK, I had trouble keeping my new found friend away from my champagne – smile! Plus you get this cute little pouch with socks and toothbrush. All in all service is comparable to Business. Certainly a wonderful selection to choose from. In addition there’s the added benefit of Book-The-Cook, more details about that awesome option here. Presentation of food is similar to Economy. However once again, as the compartment is small you never have to wait as long for your meal as you might in Economy. 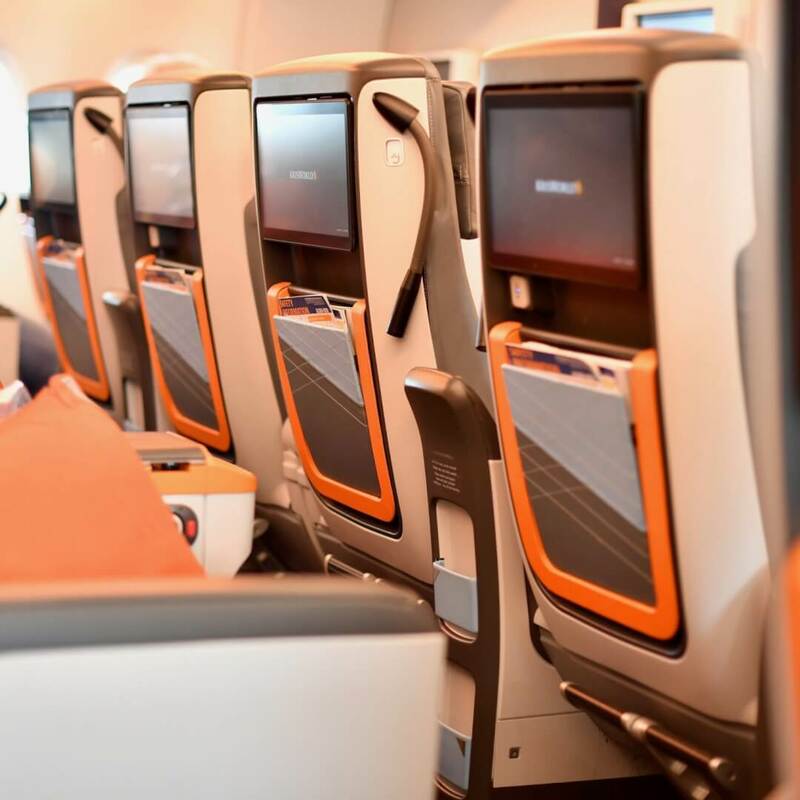 The screens are a great size – certainly bigger than in Economy. Choice of entertainment fabulous. To me there was no difference to note between Premium Economy and Business as far as entertainment is concerned. Also love the fact that for large sections of the flight there was also WIFI available, (at a surcharge)! OMG – will I ever stop being online? I’ll let you decide. In any case a trip to Singapore to escape November blues is worth it on all accounts! Singapore Airlines carries 19 million passengers per year! Flying to 60 different countries. 68 million passengers passed through Changi Airport in 2016. The busiest route is Singapore to Hong Kong with 7 flights each day. 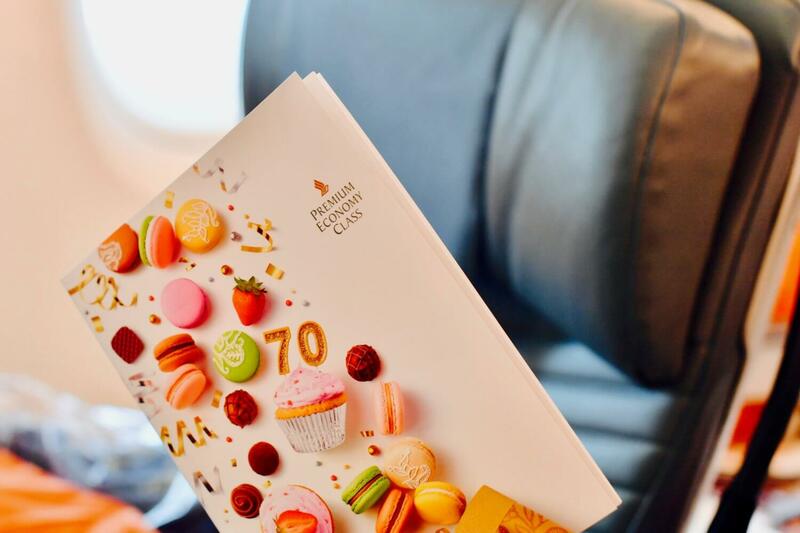 This year Singapore Airlines is having it’s 70th Anniversary. Originally Singapore Airlines was part of MSA (Malaysia Singapore Airlines), when Singapore was part of “The Federation” (Malaysia). However after Singapore became independent (1965) the two airlines also went their separate ways. Trying to become a “Singapore Girl” – haha! Dear Singapore Airlines thank you for the most wonderful flight to Singapore, I look forward to my flight back Saturday evening but shall be sad to leave Singapore! Stay tuned for more news about Singapore itself! « You will Never Guess What I am Wearing! Thanks dear. It really was lovely! Looks like a relaxed flight! Yes it really was. Coming back I managed to sleep 8 hours in one block – admittedly I was tired but all the same! More about my fabulous Singapore experience coming soon. Love Singapore Airways, always fly long haul to Australia. Service second to none and my husband being slightly disabled, nothing was too much trouble in transit between airports. Wish other airlines offered the same level of service as this airline. Everyone from ground staff to on board crew carried out their duties most efficiently and always with a smile. It is true Maureen, I love flying them because they always do their best to accommodate every need. Flying back I asked for a second pillow and eye mask – both were provided no problem whatsoever! You are so lucky to be in Singapore, and it seems like your flight accommodations were perfect. 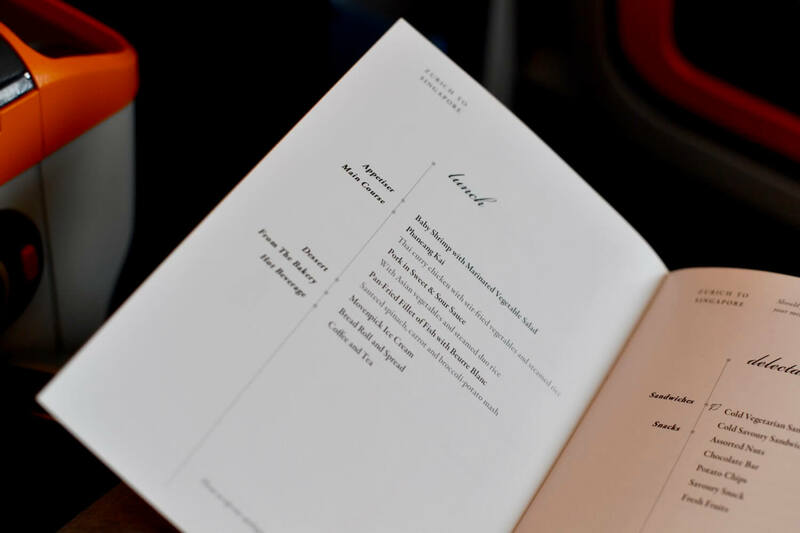 They definitely seem to provide a very luxurious travel experience, and it probably makes flying much easier. I’d love to travel through them. Dear Sheree, Singapore was amazing I will be writing up an Off the Beaten Track account of two fabulous days with a tour guide through Singapore so stay tuned. Thanks for coming to the Top of the World Style linkup party. Wow what a nice airplane! Thanks Nicole, it really is a fabulous airline to fly. What a great review! It does look like it would be a comfortable trip! Thanks Julie, It really is a comfortable trip. Not Business class but a real step up from Economy and flying back I managed to sleep 8 hours straight!